Financially Justifying Ethics: A Faustian Bargain? Many readers are familiar with Goethe’s Faust in which the protagonist sells his soul to the devil in return for having his way here on earth. Those who are not familiar with it will find the same theme echoed in Robert Johnson’s Crossroads song, in which the singer sells his soul to the devil in return for fame as a bluesman. (Still more of you may only know this through its 1986 insipid version with Ralph Macchia, redeemed through a transcendent performance by Steve Vai in the role of the Devil’s hands). But never mind. What I want to talk about is the justification of ethical corporate behavior by referring to its profitability. It is, I suggest, a slippery slope. Many writers and organizations suggest that socially responsible behavior is also profitable. Variations on the theme include the profitability of high transparency, candor, employee engagement, customer loyalty, green-is-good-business, etc. In the jargon, you do well by doing good. I applaud these kinds of studies, because they highlight imperfections in market pricing: usually short-termism. To the extent they are right, they hold short-term managers’ and investors’ feet to the fire to justify their self-aggrandizing decisions. But they are not perfect. Ethical business propositions may get tagged as unprofitable for one of four reasons. One is market imperfection, one is venality, and a third is stupidity. But the fourth is where I want to focus. Sometimes the “right” thing simply is not profitable. Stretch out the timeframe as far as you can, fix your cost accounting all you want, remove moral hazard to zero—and it may still not be profitable. There are simply times where the “right” thing does not work out to be profitable for the entity in question. When faced with an ethics-vs.-profit decision, a moral capitalist like CEO Aaron Feuerstein knows the answer. You do the right thing, he said, simply because—it is the right thing. That’s why they call it ‘the right thing.’ It needs no external justification. But they’re not listening to Feuerstein much these days. And so the CSR movement has become enamored of proving the profitability of doing good. There’s a real risk, I would argue, when ethicists and corporate social responsibility advocates put nearly all their emphasis on this line of thought. Simply put, it becomes indistinguishable from justifying ethics on the basis of self-interested materialism. Which destroys ethics. It’s always been an appealing argument. Think Pascal’s wager, for example, in which self-interest justifies theology. Thus cheapening the theology. Chris Maher makes a wonderful parallel case for the pernicious influence of ROI calculations on charitable giving in an unpublished article. Perhaps nobody does the integrity-is-good-for-you argument better than Jack Zwingli at Audit Integrity. In a brief conversation with him a few months ago, we discussed this point. Jack suggests that do-gooders are howling in the wind if they don’t speak the corporate language. “It just doesn’t work,” he says, “and that’s the simple argument against it. You have to show companies and investors that there are financial consequences for behaving badly.” (my paraphrase). As a descriptive statement, it’s hard to argue the contrary. But as a moral statement, it’s well down the slippery slope. From there, it’s an easy stumble to saying, “if it’s ethical, it’s profitable,” then, “if it’s not profitable it’s not ethical.” And now we are at, “If it’s not profitable, I’m not doing it—because it’s not profitable. Period.” Ethics is completely subsumed by profitability at this point. It is surely a good thing that the pro-good analysts continue to highlight stupid, inefficient and self-aggrandizing decisions. The results of better decisions are helpful in both moral and economic terms. And in the long run and in the aggregate, the vast majority of “good” decisions also do “well.” The alignment of the economic and the moral benefits society. But not every decision presents itself so neatly. When faced with doing the moral thing, which may not be the profitable thing, that is when the Devil comes for his due. If you have given away your moral high ground by consistently monetizing it, then you no longer have a moral leg to stand on. Companies will flatly reject your pleas, because “it doesn’t make money. Surely you don’t expect us to lose money, do you? After all, you’ve always argued…” And they’d be right. This is not mere theory. Look at the response of health insurance companies this summer at a congressional hearing. Asked to voluntarily give up their anti-human policy of rescissions, they demurred. Their reasoning? We don’t have to; state law doesn’t keep us from doing it, so we won’t. Why should we? We’d lose money. Where was the moral high ground on that one? Squandered, out doing the devil’s work by implicitly permitting moral argument from profit. So where is the high ground? It lies in public shaming. Editorials, demonstrations, op-eds, blogs, YouTube videos, politics. Moral high ground comes from appealing to a larger set of beliefs from a larger group of stakeholders. Zwingli tells me, “been there, tried that, it doesn’t work.” He is surely right, at least about working in the trenches. But public shaming in a Massachusetts election got Obama’s attention. Public shaming got Goldman’s CEO Lloyd Blankfein to drop a zero from his bonus package. Public shaming cost Tiger Woods an image, and Toyota an untarnished brand. Ethicists and CSR advocates: don’t stop fighting the good/well fight–but don’t give up the high ground by monetizing everything either. Don’t sign that piece of paper out there at the crossroads. 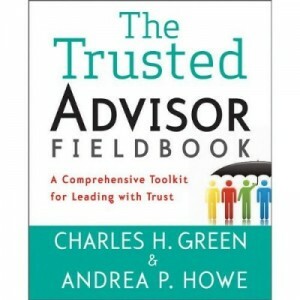 http://trustedadvisor.com/public/trusted_advisor1.png 0 0 Charles H. Green http://trustedadvisor.com/public/trusted_advisor1.png Charles H. Green2010-02-16 11:00:002010-02-16 11:00:00Financially Justifying Ethics: A Faustian Bargain? The Real Lesson of Toyota: Cultural Insensitivity?